This is excellent and you are right on target. 2 considerations: 1) Some will say that if what you are saying is correct, we can know nothing about ancient history and very little about more modern history, this objection needs to be anticipated and answered. 2) While your opponent may not raise it, some Christians have argued that the telephone game is a completely erroneous analogy because of the Jewish method of passing along oral tradition. It is believed that they memorized the teaching of the rabbis verbatim and were careful to pass it down verbatim. While this may have been true of SOME Jewish disciples, to argue that it was true of Jesus' disciples is another matter. They were fishermen, "blue collar" people if you will for the most part and had not been trained as some of the more educated and hand selected disciples of the leading rabbis had. A great source on Oral Tradition in general is Oral Tradition as History by Jan Vansina(Madison: University of Wisconsin Press, 1985). Thanks Ken. These are great questions. This is right, there may be the objection that if we apply my critical standards to other ancient historical sources, we’ll have to reject them too. My short answer is that if those other historical bodies of evidence are as poor as what we have for the resurrection, then we’d be right to be skeptical. But the more serious answer involves some of the details of my critique of the case for the resurrection. Why not reject the claim that Caesar crossed the Rubicon too on the basis of my historical skepticism? Well, the situations are not analogous. In my argument against the resurrection, the biggest factors that undermine the reliability of the transmission process that brings the Jesus stories to us all involve the question of supernatural, magical, or paranormal events. The case I make against the alleged eyewitnesses depends in large part on what I’m calling the Lourdes Problem. We know from Lourdes France that people are remarkable unreliable when it comes to miracle claims. That is, people have different levels of reliability depending on the subject matter, their competence, and a number of other factors. When illiterate, Iron Age religious converts make claims about supernatural events occurring, we’d do well to be very skeptical of them. In fact, because of their era, their lack of knowledge, and their ignorance about a host of relevant psychological factors, we should be even more skeptical of them than we are about modern religious converts. 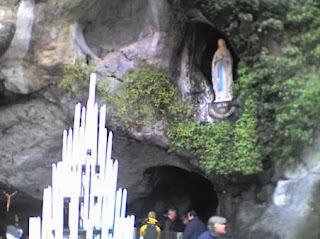 And what the Lourdes, France example shows us (along with a lot of other contemporary religious and paranormal testimonies) is that perhaps only one in millions of people who claims the have witnessed a miracle actually has. At Lourdes a panel of only modestly skeptical “experts” established by the Catholic Church has recognized a mere 67 authentic miracles out of the thousands that they have considered, and of the millions of people who have gone there and thought they saw a miracle. Other examples, as I have outlined in many previous posts, give us more reasons to doubt miracle testimony. But when people make claims like, “Caesar crossed the Rubicon,” the nature of the event and absence of some of the religious/psychological and educational factors that undermine the miracle claim are not present. That’s why, if we apply my argument to the origins of Islam with Mohammed’s visions from Allah, or Joseph Smith’s rapturous encounters with the angel Moroni that produced Mormonism, the obvious answer is that we should be highly dubious. The argument I’m giving would be uncontroversial to most people if I was pressing for the conclusion that there was no real black magic at Salem, Mass., or that the heretics tried and tortured by the Inquisition were not possessed by demons or guilty of witchcraft. I’m giving a more rigorous account of why we reject lots of historical magic claims, and of course that applies to the alleged return from the dead by Jesus in the first century too. I have several other points to make in the presentation about why ancient testimony about supernatural events is much more unreliable than many other sorts of claims that we accept from ancient people. What about the second question: Does the Jewish Oral tradition give the historically minded Christian some hope of proving the reliability of the people who brought us the Jesus stories? I don’t think so for several reasons. First, as far as I understand it, the Rabbinical oral tradition had a very specific purpose that was antithetical in several ways to the Jesus resurrection story. The oral tradition was preserved for a set of specific laws given to the Jews by God from Moses. These laws were to be committed to memory and passed on in a very deliberate fashion from Rabbi to student under specific circumstances. And the context was confined to these laws and some of their elaborations. It’s far fetched, to say the least, to suggest that the Jews would violate the centuries old customs of this tradition and immediately fold in a story about a renegade Jew with some radical teachings that amount to an overthrowing of the Jewish religious doctrine. The oral tradition wasn’t for outrageous stories, and it wasn’t used for stories about a heretic who was rejecting traditional Judaism. The point is that there was a great deal of talk, the story was spreading by word of mouth among Jews and non-Jews, from city to city. By the 3rd and 4th centuries, there are thousands of manuscripts of different sorts in circulation that contained a wide variety of stories, anecdotes, sermons, and metaphysical speculations about Jesus and his teachings. In fact, as the modern Bible was canonized, thousands of these other documents, with their varied accounts that often contradicted the Bible account outright, were deliberately excluded. We know that all manner of stories were proliferating and that there was a self-conscious attempt with canonization to settle on one account at the exclusion of the others. Given this proliferation of stories, free talk, and upheaval of traditional Judaism, it won’t do to insist that an obscure and conservative Jewish tradition would have given us a clear, high fidelity line back to the original event of the resurrection. Finally, I’ll just make an appeal to your common sense. We all know good and well how much people will talk, especially about some extraordinary event, and how the telling and retelling of stories through many people amplifies the distortions and variations on themes. People just aren’t that good at carefully preserving the exact details of a story they have heard, even when the event is perceived to be of enormous significance. Shortly after the news of the space shuttle Challenger disaster went out, Ulric Neisser and Nicole Harsch had students in a psychology class write an account of where they were and what they were doing when they found out. Then two and a half years later, they had those students write another record of what they were doing when they heard the news. It is significant that before they saw the earlier record, the students predicted that their memories were accurate. But when the two accounts were compared, the details matched in fewer than 10% of the paired accounts.More than 75% of the accounts had significant errors, some of them dramatic. Yet, even when confronted with this clear evidence to the contrary, many students refused to believe that their later memories were inaccurate. Neisser, Ulric and Nicole Harsch, “Phantom Flashbulbs: False recollections of hearing the news about Challenger” in Eugene Winograd and Ulric Neisser, eds. Affect and Accuracy in Recall: Studies of “flashbulb” memories (Cambridge U Press, 1992), 9-31. So once again, thanks Ken. Unless I’m really missing something, I’m not overly concerned about these two objections. One of the best books I've ever read on the topic was called "The Robe" by Lloyd C. Douglas. The premise of the book is simple, it is a fictional account of one of the Roman Soldiers who, according to the NT, cast lots for Jesus' robe after his crucifixion. Years later, after he returns to Rome, strange things begin to happen to him, etc. He takes a Journey back to Palestine, appx 15 years (as I recall) after the crucifixion to try and learn what was going on. What struck me about this book was the potential accuracy in which the author deals with the "oral tradition" or the stories about Jesus being spread around. Now, in the story he casts skepticism on the stories because some of the so-called "miracles" are easily explained, but in the end he gives up his intellect and reason and believes. 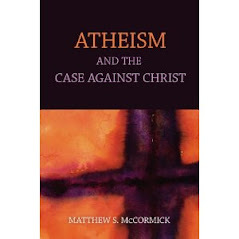 I highly recommend the book, it was written 1942 and is a wonderful read for atheists, historians, and the faithful alike. This post really made me think about it. All of the points made were center-point to the book. It tells a very interesting (albeit, fictional) account of the early Christians and how the stories, the differences in recollection, were dealt with. Although the book was meant for the faithful, it really started my brain working in a more critical way. The fictional character may have given up, but it helped cement my trust and confidence in reason and skepticism. To me, that's key. Suppose Caesar is said to have died and rose from the dead after more than two days. Suppose we have the same kind and quality of evidence for this miracle as for him crossing the Rubicon. Suppose we have his first-hand account of it. Suppose enemies of his agreed. Suppose coins were minted to commemorate the event. Still, how many people today would find the story believable? We would still be skeptical, and would be more than justified. People just don't get up and walk out of tombs after two-plus days being dead. Related to both ancient testimony on the supernatural and Jewish Oral tradition: Are you familiar with the Kuzari principle? It's a line of thinking that gets its name from a medieval Jewish philosophy work called the Book of the Khazars by Judah Halevi. It's supposed to be a proof of the truth of Jewish claims, particularly in Exodus (parting of the sea, revelation at Sinai, manna from heaven, etc.). It's also supposed to show the superiority of Judaism over Christianity and Islam, which are based on semi-private or small-scale public miracles, whereas the Exodus miracles reportedly occurred on a national and sometimes repeated (e.g., with the manna) scale. Taking Sinai as an example, the basic argument from Kuzari is that because 600K people were reported to hear God speak to them, and because the story was passed down in an unbroken chain of transmission from Sinai up to the Jewish Enlightenment--because of these things, the story can't be a hoax or a misunderstanding. It's an interesting topic that I have just started writing about. That might impress me if I was not intelligent to understand that a report of 600K people is not the same as 600K reports by 600K people. I could tell you that 100 billion people witnessed me travel to Jupiter, and I really don't think you would be obligated to believe me just because I had invoked a large number of reported witnesses. Allow me to play the part of a Kuzari proponent and respond to your objection. In your scenario, any one or any segment of the reported 100 billion people could stand up an say "It's not true! We did not witness this event." And that's one of the points of Kuzari. In effect, it claims, the 600K have ratified the one report. There is a more basic argument against any "miracle" claim. In terms of how much real knowledge you have of the event, "It was a miracle" is equivalent to "I don't know how it happened." But if you don't know how it happened, then you don't know it was miraculous. More here. Thanks. I think you are on target with your objections. Of course you will be accused of anti-supernatural bias and ruling out the miraculous a priori and told that Hume has been refuted, and so on. I think you are right though to point out that one needs to skeptical about miracle-claims and the Christians are when it comes to the miracle-claims of other religions. Why is it any more incredible to believe that Mohammed flew to heaven on a winged horse than it is to believe that Jesus rose from the dead and ascended to heaven? The only reason has to do with which religion one has made a prior faith commitment to. It is really the religious person who is operating a priori . On the oral tradition, I would add that the disciples of distinguished rabbis were hand selected and trained to memorize and pass along the teachings of their masters. The disciples of Jesus for the most part were common people. They had no special training. The mere fact that there is so much divergence in the gospels proves that it was not passed along as Jewish rabbincal teachings were. Good luck to you in the debate. I am sure you will do well. I hope they won't be offended if I take notes. I have a strong feeling the vast majority of the debate will be so far above my head I'll feel like I'm falling. I have to say, though, that I strongly agree with Ken. One of the strongest arguments is "why this [Christian] miracle?" and not others. What makes one more credible than the other? Looking forward to seeing how that plays out. "Doesn't the Case Against the Resurrection Make You a History Skeptic?" This is a poorly formulated question, in that it seems to presume that being a skeptic is a bad thing. Au contraire. skepticism merely means having standards of evidence and argumentation. Skepticism should not be confused with denialism. Thanks Reginald. Part of the problem, of course, is coming up with a catchy title for the blog post that adequately captures the point. This one doesn't really. One strategy for objecting to my argument that would make sense would be to take the general set of skeptical criteria that I have used to reject the Jesus stories and show that when we apply them to other well-known, and acceptable historical claims they force us to reject those too. If the cases are analogous, that would suggest that there's something wrong with my criteria because they force us to reject some claims that are justified. That's a legitimate worry. I don't want to just invoke some abnormally high level of skeptical doubts, which philosophers are good at, and then proclaim that Jesus can't meet them, so we should reject Jesus. I need to show that the Jesus case doesn't pass muster when we set the threshold for the burden of proof at a reasonable level. I want claims like "Julius Caesar existed." to pass muster, or "the accused at Salem weren't really witches," to pass muster. Could you not deftly step around that by invoking a "reasonable probability" sort of agrument? You're not arguing that Jesus didn't exist in this format, just that the resurrection is not a reasonable belief, correct? Number, variety, and reliability of sources seems to be what makes or breaks history in a physical evidence vacuum. In the case of Ceasar, you have multiple credible sources that are easily cross-referenced with other sources. They could argue that although all the information comes from one collection the evidence for Jesus existence (not resurrection) is similarly strong (I do not agree with this, but it seems a reasonable argument could be made). The supernatural nature of the event being claimed as real seems to be the only significant difference between the two claims. It seems that one tactic would be to invoke the evidence standard of things we agree are impossible and apply it to the resurrection. Or a "what is more likely" argument. He was taken to heaven or his body was stolen. Or he never was crucified in the first place. Something like that would seem to avoid the History comparison. I'm sure you've already thought this through, I was just thinking about it and the obvious difference to me is the probability of either event being true. Extraordinary claims require extraordinary evidence. Actually The Rubicon crossing by Caesar vs The Ressurection makes for a perfect example of Historical method see Richard Carriers article. When a proper Historian runs the rule against both there is ample evidence of the Crossing of the Rubicon, evidence which is totally missing in The Ressurection. In your Debate you don't have to rule out the supernatural apriori a better way might be just to show that the Christian has to rule out natural explanations and proper historical methods apriori. Also while I'm on the subject if the matter comes up that Jesus is the best attested person in ancient history, I think I've heard Ehrmann claim this, then you could point out that it is the documents themselves and the beliefs of the Christians that are attested. The claims made within those documents though are only 'self-attested' through Christian writings themselves, little independant fact can be salvaged from them. Neil Godfrey over at Vridar does a pretty good job of dissasembling this. I hope someone will record and release your debate, if you debate half as well as you write I look forward to listening to it. Thanks Lewism. I've got all of this material more than adequately covered, I think. What's different about my approach here is that I'm not going to pursue this quite along the typical lines of the debate. I have organized my argument in a novel way and I have lot of new objections to raise. When the debate's over, I'll write up the short version of it with the slides and post it here. Thanks all for your comments and suggestions. Those were awesome diagrams from your last blog post, I had to use them professor for an email post to my friends and brother, good stuff! Wow it sounds like you're pretty smart, AND an atheist too? You must have read a lot of books. I guess God is imaginary then. Check mate, monothesim! Religion flies people into the moon! The Jesus story was stolen from Thor! If only believers just understood evolutionary cosmology better! Aquinas' Five Ways were disproved by cosmic background radition. Oh, you don't know about cosmic background radiation, you poor ignorant theist. Something about Zeus, Baal, Apollo... One step further! Dogs and bees can smell fear.... Baah! Allah also died and resurrected. Oh, you say he didn't, well why should I have to know theology if God is imaginary. Baaah, the emperor has no clothes. Existence is not an attribute. We know now from quantum mechanics that nothing has a cause. The human head weights 8 pounds. Yada yada. Did I just pretty much sum up your entire view of reality?